The Nelson House is an imposing edifice by anyone’s standards. 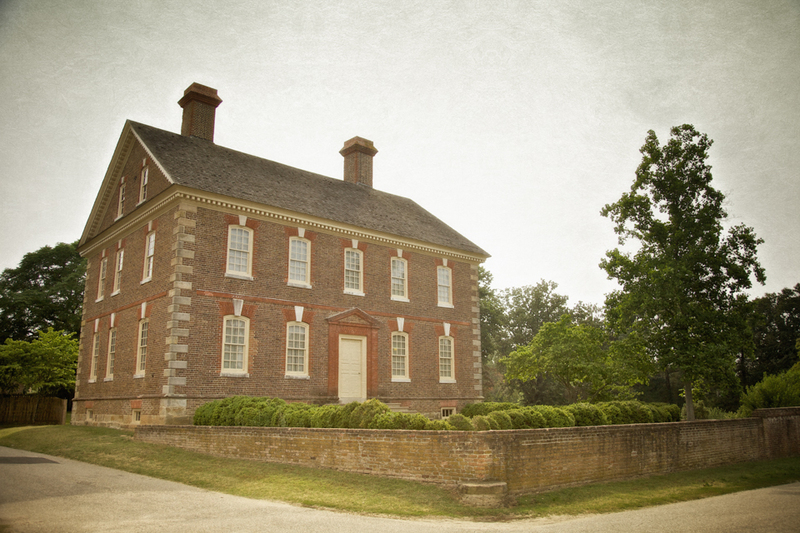 Three stories tall and on a hill overlooking the York River, the house was believed to be for a time, the headquarters of British General Cornwallis during the American Revolution, and was a frequent target of American and French cannon fire during the siege of Yorktown. During the Civil War the house became a Union hospital, and it was on the third floor where the most grievously wounded were cared for. Gangrene, no air conditioning and the top floor of a brick house in the Virginia summer must have led to some inhumane conditions, and it is said that the windows had to be kept open so that the stench of decayed flesh could escape. It’s not surprising then that people have seen specters on the third floor. It’s also not surprising that the young people of Yorktown might wander onto the grounds of the Nelson House at night. Kids are attracted to haunted locations the ghosts to their graves, after all. It was one moonlit Halloween night, when five young friends were wandering behind the Nelson House. One girl happened to look up to the third floor and saw a window opening. Realizing that there would be nobody in the house since it’s a museum and empty after hours, the girl stood transfixed. Soon the small group was staring wordlessly, listening to moans and voices coming out of the open window. Soon after a man’s face appeared through the opening, bloodied and seemingly angry and full of hatred. With that, the Halloween excursion on the grounds of the Nelson House came to an end, with the small group in full flight down the main street of Yorktown, Virginia. Yorktown is rightfully haunted. From “Cornwallis’ Cave on the banks of the York River, to Crawford Road – the town is a magnet for urban legends and ghostly tales. Cornwallis’ Cave is despite its name, not definitively proven to be linked to General Cornwallis, leader of the ill-fated British Troops at Yorktown. Some say British troops did shelter in the cave from the incessant bombardment of Colonial and French artillery, others claim that it was the citizens of Yorktown themselves. It’s generally agreed that at some point after the war the cave was enlarged, and perhaps used by smugglers. Though it’s now gated, voices are still heard at night coming from the darkness. Some say it’s the voices of Revolutionary War soldiers, the moaning of the injured and dying hiding in the cave, others say it’s the sounds of a satanic cult thought to have used the cave in the 1970s. 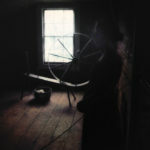 Just as Yorktown’s claim to fame is tied to the American Revolution, so to are most of the ghost stories from the area. Cannon fire and the sound of drums are heard wafting across Yorktown Battlefield, part of Colonial National Historical Park, more than two centuries after the armies left the field and after the reenactors have left for the night..
John “Jackie” Custis had the good fortune to be the son of Mary Custis, more famously known from the name she took in her second marriage, Martha Washington. Despite having failed miserably at nearly anything he had tried in his short life, he was making a name for himself as aide de camp to his stepfather, General Washington. Now as bad as the horrors of war were, the horrors of camp life could be even worse. It has been said that more men died from diahrea in that conflict than in battle, and there were several diseases which could strike a camp at any time. Jackie picked one of these up during the siege of Yorktown, falling deathly ill. Luckily for Jackie in some respects, with the commanding officer not only your employer, but your step-father, he could afford the best in medical care. Unfortunately in his case, this meant you got the razor taken to the veins in your ankles rather than leeches, and bleeding the patient wasn’t an effective remedy for the disease – likely typhus – which took his life. 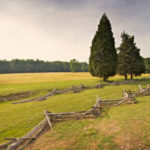 For years afterwards, and occasionally to this day, the transparent figure in a white nightshirt with bloody bandages tied around his ankles has been seen rushing towards Yorktown battlefield. The locals and some historians make the claim that this is the ghost of Jackie Curtis, due to the obvious, as well as his blonde hair. If you walk into town from the Yorktown Victory Monument, you’re in for a Colonial era treat. The remaining houses on Main street are from the Colonial period, and it’s an incredibly tidy walk back into time. On your right is an open field where once stood the home of William Nelson, one-time governor of Virginia, appointed by the King himself. On moonlit nights, British soldiers are seen racing across the yard, fleeing from the sounds of cannon which the living cannot hear. Across the street is the Thomas Nelson home, son of William Nelson. Thought by many to be the best example of Georgian architecture in Virginia, the home was originally built by William’s father. However William was so prolific in the breeding department, that he needed a larger home for his brood, and it eventually came down to his son. Thomas was well known, newly instated governor of Virginia, as well as a signer of the Declaration of Independence, three time member of the Continental Congress and prominent local businessman. Another title which Thomas Nelson held was head of the Virginia militia, consisting of about 3,000 soldiers. According to legend, as Yorktown was his home, the Marquis de Lafayette invited him to watch Captain Thomas Machin’s battery’s first shells to be launched at the village. Later it is said, that Nelson offered the gunners a financial reward for every shell which hit his house. His money was relatively safe in that there are only three spots in the brick where shells are believed to have struck. One of these shells tore through the wall and into a hidden staircase, where according to legend, a British soldier had taken shelter from the bombardment. Now to have chunks of masonry as well as a cannonball tear through your torso when you believe you are safely hidden makes for a fast exit from the mortal coil. And as they tell us on Ghost Adventures – and they should know – sudden death often leads to a haunting. 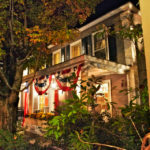 Cut to early in the twentieth century when a new tenant of the Nelson House is in residence and hosting a swanky dinner. The subject of ghosts come up and the hostess is asked if the place is haunted. And it must be remembered, the place looks haunted, if nothing else. The hostess replies that there is the story of it being haunted by the ghost of the aforementioned British soldier, but she expressed her incredulity in the matter. As if on cue, the door to the secret passage where the soldier was mutilated blew open with great force and a clamor, leaving the audience in stunned and somewhat terrified silence. The attic is believed to be haunted by the ghost of a soldier who fell in love with his nurse, and despite her attentions, died in the house. Others have heard the sobbing of a woman on the third floor, so perhaps it’s the unfortunate young man’s nurse who shared his affections? Nearby is the Cole Diggs house, built early in the eighteenth century, and seemingly with more of the dead than the living within its walls. The small house has been the site of hauntings from both a colonial era man as well as a colonial era woman, both manifesting themselves and going about their business as though the past two hundred years never took place. 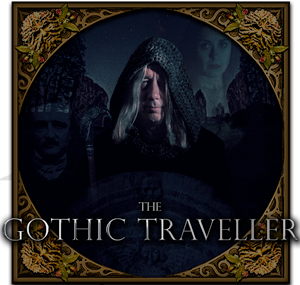 The apparitions are a regular enough occurrence to have ran two different tenants out of the home, until a couple moved in who enjoyed the otherworldly presence. 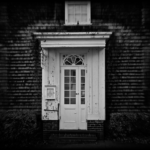 The old medical shop in historic Yorktown has a ghost of a romantic nature, or perhaps jealous is a better term. 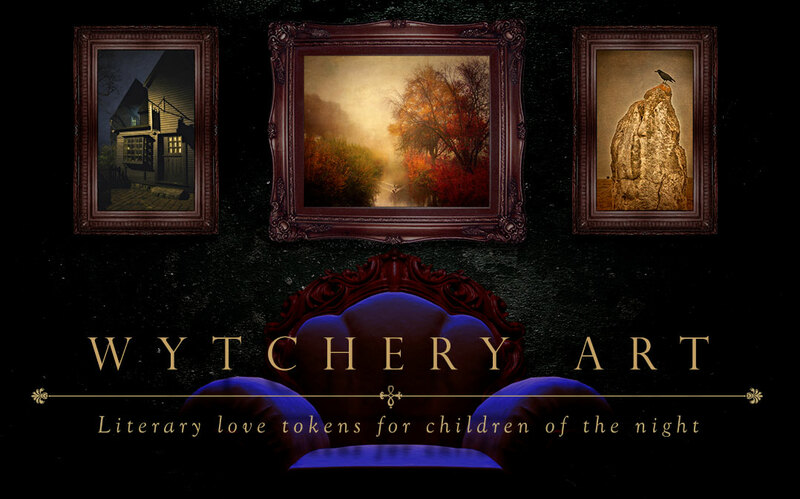 A young lady who lived there tells tales of incredible poltergeist activity, including the hurling of flowers and vases, deadbolts closing on their own, footsteps and acts of a more mischievous nature. It seems that the ghost is jealous of would be suitors, and frequently disrupts her dates by doing things like conveniently throwing the breakers in the house, and otherwise behaving in a none too friendly manner. She reports that it has also followed her on occasion, and even managed to get left behind from time to time. There are ghost tours in the spring and fall of historic Yorktown, and they are the perfect excuse for a nighttime walk through through the haunted landscape. 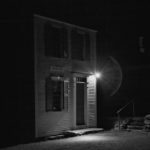 Not that you need a ghost tour to have an excuse for a walk down Yorktown’s haunted main street. It’s an eerie feeling to cross the fields contested at Yorktown so long ago, to walk the darkened streets where cannonballs brought death from the sky. In the light of a hot Virginia summer, Yorktown retains its colonial era charm. And at night, the present slips away altogether. A walk down the darkened main street, where nearly every house has its ghost story leads to the ramparts of the Revolution, where one dream died and another began. So I wouldn’t make the trip to Yorktown unless I was nearby, which is fine as it’s a short drive from Colonial Williamsburg. As such, it makes a great side trip as another ghostly stop on a colonial era ghost tour. Sleep in Williamsburg but get yourself to Yorktown. Unlike its noisy neighbor, Yorktown is a quiet spot to step back into time, which might explain why so many of the departed have a hard time leaving. Editor’s Note: This article wouldn’t be possible without the wonderful books of L.B. Taylor, Jr.
I’ve lived in Va. most of my life having grown up in Chesterfield/ Richmond. I’ve toured a lot of Civil War battlefields feeling some kind of intimate connection ever since my mind started retaining memories. I’ve lived in Yorktown since 1980. I have really been wanting to go tour Bacon’s Castle and do more research on Nathaniel Bacon for a long time. Do you or have you written anything about this subject ? I enjoy your writings. the Nelson House is on th YORK River! i just noticed that also! Good catch! did the author acknowledge?